The failure of the government to distribute the economic benefits of peace to the population in general poses a major political challenge. The anticipated flood of foreign investment has not materialized. In these circumstances it is not surprising that the new Foreign Minister Ravi Karunanayake should emphasise the importance of focusing attention on the economic aspects of international relations. As the former Finance Minister prior to the cabinet reshuffle he would have greater familiarity with the economic aspects of international relations rather than on issues of transitional justice and human rights that preoccupied his immediate predecessor. Former Foreign Minister, Mangala Samaraweera, was able to extricate the country from the antagonistic relations it had with sectors of the international community. In particular the Western countries which tend to give importance to issues of human rights and governance in their dealings with other countries have been won round to be fully supportive of the government. It is important that at the present time the government should continue to give priority to issues of human rights and governance. The international community continues to give attention to the government’s implementation of its commitments with regard to dealing with the past through transitional justice measures and in preparing for the future through legal and political reform. These commitments are not only ones made by the present government. The commitments to the international community go back to 2009 around the time the war ended and President Mahinda Rajapaksa led the government. The Joint Statement by United Nations Secretary-General Ban Ki-Moon and the Sri Lanka government at the conclusion of UN Secretary-General’s visit to Sri Lanka on 23 May 2009 stated that the visit was an outcome of an invitation by President Rajapaksa to the UN Secretary-General. In the Joint Statement it was also agreed that following the end of operations against the LTTE, Sri Lanka had entered a new post-conflict beginning. President Rajapaksa and the Secretary-General agreed that addressing the aspirations and grievances of all communities and working towards a lasting political solution was fundamental to ensuring long-term socio-economic development. The UN Secretary-General welcomed the assurance of the President of Sri Lanka contained in his statement in Parliament on 19 May 2009 that a national solution acceptable to all sections of people will be evolved. President Rajapaksa expressed his resolve to proceed with the implementation of the 13th Amendment, as well as to begin a broader dialogue with all parties, including the Tamil parties in the new circumstances, to further enhance this process and to bring about lasting peace and development in Sri Lanka. In addition, the government reiterated its commitment to the promotion and protection of human rights, in keeping with international human rights standards and Sri Lanka’s international obligations. The UN Secretary-General underlined the importance of an accountability process for addressing violations of international humanitarian and human rights law and it was jointly noted that the government would take measures to address those grievances. Those who seek to blame the present government for putting reconciliation, transitional justice and accountability into the middle of its foreign policy are not taking into account the actual record. It is also significant that for nearly five years, up until March 2014 the international community took the position that it was up to Sri Lanka to design its own plan to deal with human rights and accountability issues that accompanied the past. 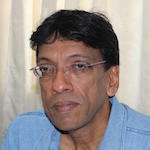 The international community did not require that Sri Lanka should have a hybrid mechanism in which there needed to be international members. The international community was satisfied with the report of the Lessons Learnt and Reconciliation Commission, which was a purely national undertaking with no foreign component. It was the failure of the former government headed by President Rajapaksa to take its commitments seriously, such as by implementing the LLRC report, that led to the debacle of March 2014. In March 2014, five years after the end of the war, the UN Human Rights Council brought into focus the issue of direct foreign intervention in Sri Lankan affairs. It called on the UN Human Rights Commissioner to monitor the human rights situation in Sri Lanka and to continue to assess progress on relevant national processes. It also urged the UN High Commissioner to undertake a comprehensive investigation into alleged serious violations and abuses of human rights by both parties in Sri Lanka and to establish the facts and circumstances of such alleged violations and of the crimes perpetrated with a view to avoiding impunity and ensuring accountability. However, due to the present government’s willingness to engage constructively with the international community the relationship has got transformed. The positive results of the government’s policy shift was seen in March this year when the international community in Geneva gave the government a further two years to implement its commitments made in terms of the UNHRC resolution of October 2015. It was seen once again in the restoration of the GSP Plus tariff privilege to Sri Lanka by the EU. These are still based to a degree on promises and words of the government rather than on concrete actions on the ground. The bridge building and confidence building with the international community needs to continue. In this context it will be necessary for the government to address the need on the part of the international community to see words turned into deeds. The government’s renewed attention to constitutional reform must be shown to be a genuine effort to address the core issue, which is to provide a framework for a lasting political solution to the ethnic conflict. The renewed debate on the issue of the unitary state is an indication that the government is serious about addressing the political root of the ethnic conflict. The government is also sending out positive messages to civil society once again about its willingness to engage with it to find solutions that meet international standards. The Universal Periodic Review (UPR) undertaken by the UN is one in which governments are obliged to engage in consultations with civil society. The UPR is a relatively new process which commenced in 2006 in which the human rights records of all 193 UN Member States is reviewed periodically. Under this process, the human rights situation of all member countries of the UN is reviewed every 4- 5 years. Sri Lanka has been reviewed twice under the UPR, in 2008 and 2012 respectively. Sri Lanka’s third UPR review is scheduled for November 2017 and the national report in this regard has to be submitted to the UN Human Rights Council in Geneva in August 2017. The Ministry of Foreign Affairs, in consultation with other government departments has prepared a draft national report and wishes to invite views and observations of interested individuals and civil society organizations on the draft. This is unlike past practice in which the government showed little or no interest in consulting civil society or in being transparent in what they did. It is a positive sign that the cabinet reshuffle has not changed the positive break with the past. But it is necessary that the willingness to consult and to speak in terms of international standards are reflected in actual changes on the ground. Gnanasara is not a new phenomenon but a modern version of the same old thing. The arson attacks on Muslim shops clearly indicates this while the so-called good government is looking the other side for they don’t want to upset their vote back. What reconcilliation is Jehan Perera talking about? The rulers hope the international community, UN and other foreign entities will be worn out and forget about the whole thing. In the meantime the racial, religoius disharmony and lack of justice will feator until another round of blood letting. Appe Aanduwa is well and truly establishd in the island. Will it be able to progress and join the community of civilzed nations? I have my grave doubts. Jehan Perera: “Reconciliation Requires Actions Not Only Processes”. Sorry Jehan, “Actions” requires “Will” – this is very much lacking right now. The perspective on Sri Lanka espoused by Jehan Perera, eight years after the Sri Lankan State bombed the Tamil resistance to majoritarianism out of its existence, is quite interesting. Now that there is no danger of explosions and suicide attacks, “the war is over” and all is well in the minds of the Sinhalese and others living in the southern regions of the island. Now that this Democratic Majoritarianism has been imposed by bomb and bullet all that remains is the fate of missing persons and return of land that remains under the military. The fact that one minority has been decimated, some would say to a genocidal extent, and other minorities are under violent and destructive attack, does not seem to matter or detract from what is being hawked as “peace, in Sri Lanka. The question as to whether the state is to continue as a structure that enforces Democratic Majoritarianism at the expense of the ability of minorities to enjoy their human lives and express their aspirations and seek their realization, does not apparently arise at all since that, far from being a right of all humans, is, under the Sri Lankan state, to continue to be the privilege of the majority Sinhala Buddhist community alone. Just how Democratic this Majoritarianism can be and just how much an oxymoron the term itself is beginning to look like remains to be seen in practice and while this perspective may seem quite “raw”, it is in fact the way that the situation looks to me. So said the cannibal!! Go back where you come from! Except for Sri Lankans, politics in Sri Lanka is like a merry go round. The same oppressing the minorities is the only objective the rest outside of Sri Lanka can see. For Journalists, it has to be not to displease the top leadership and yet it has to be universal for the rest of the world. So keeping up writing what was what and what is becoming better is the way to keep up in a safe mode. But Sri Lanka has been let down by the lakh of self confidence at the top level. The top level executives consult the Buddhist clergy in any decision making because they want to keep them pleased and use them for their coming back to power. This is the downward spiraling phenomena that has made Sri Lanka not a self relying Country. As is embedded in their mindset the believe in pinkama has now become the fate of the whole Country and there seems to be no way out. This is well suited for the neighboring and other opportunist Countries to meddle with Sri Lanka easily. Because of the priorities of the clergy, getting rid of the minority and other religions will be the center of their politics. If Sri Lanka needs to come out of its position with dignity it is going to take a very long time. The process of overcoming fear, falsifying, blaming, and denying cannot be changed without a prompt execution of fundamental truths by all decision makers. Either the leaders may follow the footsteps of well known leaders of other Countries like Lee Kwan Yew of Singapore or look at the neighboring Country which is the biggest democracy known to the whole world. The Academicians and the Journalists of Sri Lanka seems to have handed their jobs to the religious clergy too.